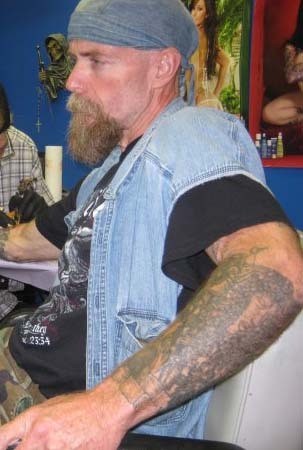 Buster Mixon is the shop owner with over 20 years of experience under his belt. There's no style of tattoo he can't do and he loves them all. One style that he does excel at more than others would have to be his greywash. If you want realism, this is definately the guy to talk to. When you're in his chair not only will you feel at home, but you'll get an awesome piece of art that only this level of experience can produce.